About: Xavier Aptitude Test (XAT) 2020 is a National Level MBA Entrance Test conducted by XLRI (Xavier Labour Relations Institute), Jamshedpur for the admission into Post Graduate Management Programmes across B-Schools of the Xavier's group and other major B-schools in India. XAT exam might be conducted on January 6th 2020 in online mode. Over 75000 students are expected to appear for XAT 2020. The notification for XAT form 2020 will be out by the 2nd week of August, 2019. Most likely, the XAT 2020 registration might start from the 3rd week of August and go on till 4th week of November, 2019. The primary XAT 2020 eligibility is that, a candidate must have completed a Undergraduation programme in any reputed organization. The XAT 2020 score will be accepted by XLRI Jamshedpur and other reputed business-schools across India for admission into MBA/PGDM programmes. The Full Form of MBA is Master in Business Administration. However, most MBA colleges give a Post Graduate Diploma in Management (PGDM). 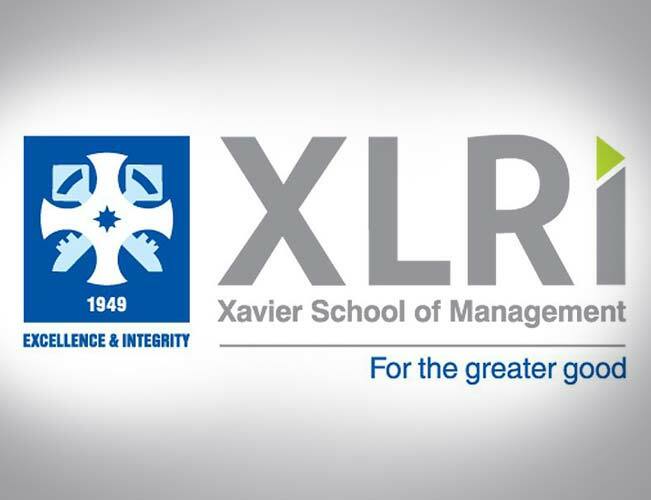 Authority: XAT 2020 is conducted by Xavier School of Management, Xavier Labour Relations Institute (XLRI) - Jamshedpur for admissions to MBA, PGDM in XLRI, other 10 associated colleges including XIMB, XIME, LIBA, which are under Xavier Associate Management Institutes (XAMI) group. Grandiosity: XAT 2020 is one of the oldest competitive examinations in the country that has always kept pace with the cutting edge testing methodology. XAT score is being used by leading business schools for admissions, including the prestigious XLRI and other associated institutes. The Human Resource course in XLRI is considered to be one the best HR course in Asia and is the Flagship programme of the college. Frequency: XAT is conducted once in every year. XAT is usually conducted in the month of January. More than 70,000 students appear for XAT exam every year. Subjects: The XAT 2020 syllabus includes: Verbal and Logical Ability, Decision Making, Quantitative Ability and Data Interpretation, and General Knowledge. XAT Cut-Off: The XAT Cutoff is decided by the XLRI every year. The applicants have to clear the XAT Cut-off 2020 to advance for the next rounds. International Candidates can take GMAT and apply through GMAT scores as well for admission. For Correct Answer (+1 Mark). For Wrong Answer (-0.25 Mark), more than 8 unattempted questions will result in the deduction of 0.05 marks. XAT 2020 will be a single session exam. It will be conducted most probably on the first week of January in the time slot, say between, 10 AM to 1:00 PM. The XAT exam generally is conducted across 46 cities in India. XAT 2020 MBA Entrance Exam results may be released possibly on the fourth week of January. Candidate can apply for the XAT exam 2020 in the official website. XAT 2020 registration form might be out by the 2nd week of August. And henceforth, XAT form can be filled for about two months. The end date of form filling is generally around the final week of November. Candidates can apply for the exam even after XAT 2020 application deadline, by paying the late fee. The important dates regarding XAT 2020, are tentative and based on the previous year dates. Candidates are requested to stay tuned and wait for further updates. Know more regarding important events in XAT 2020 Dates section. The XAT 2020 eligibility criteria for the candidates are tabulated below. These data are based on the XAT 2019 (the latest) exam that was conducted. Subjects: Quantitative Ability, English Language & Logical Reasoning, Decision Making & G.K.
Changes for XAT 2020: For the admission session starting 2020, XAT will have only one section. Mode: XAT 2020 will be conducted online. Marking Scheme: Each correct answer fetches 1 mark and 1/4 mark is deducted for every wrong answer. More than 8 unattempted questions will result in the deduction of 0.05 marks. The XAT form should be filled online. The fee details can be seen in the following table. Know more regarding Application in XAT 2020 Application Form section. Note: Candidates can apply for more than one programme in a single XAT application but the candidate has to pay separately for every programme he or she chooses. And also candidates can take a printout of the XAT application form for future use. Visit xatonline.in, choose the tab "Registration" and enter Name, Date of Birth, Contact details and E-mail-id. A system generated XAT ID and password will be communicated to the candidate through Email/SMS. Students should note down the XAT ID and password for future communication. After registering, the candidate should fill the personal details and other educational background details. Finally, the candidate should upload the necessary documents (as per the given specifications). The XAT exam pattern underwent changes in the time slot for XAT 2019. The table shows the exam pattern that will be followed in XAT 2020. However, we have to wait for the official notification regarding XAT 2020 exam pattern. Source: The XAT 2020 Admit Card will most probably be released on 22nd December 2019. The candidate can visit the official website to download the XAT hall ticket using their login credentials. Note: Candidates will be allowed to enter into the XAT 2020 exam centre only with a valid admit card & photo ID proof. XAT(Xavier Aptitude Test) is a national-level management entrance test conducted by XLRI Jamshedpur. The Exam centres of XLRI 2020 are located all over India. There were no XAT exam centres located outside India. XAT was conducted in two international cities, Dubai and Kathmandu previously. We can expect XAT 2020 to be held in the same two cities this time as well. For more information about the test cities, please go to the XAT 2020 Exam Centres section. Declaration: XAT 2020 Results might be declared by XLRI on the 2nd or 3rd week of January 2020. Credentials: Enter the registration number and date of birth to access the XAT 2020 results. Shortlisted candidates are called for the next process of selection. Results: The XAT response sheets are generally released every year before the results. XAT 2020 response sheets can, therefore, be expected in the 2nd week of January. XAT Cut Off 2020 is decided on the basis of the number of applicants, difficulty of the paper, number of seats in participating colleges. In order to be eligible to sit in the next rounds, the candidate has to qualify the XAT cut off score. For more information about the cut offs, please refer to the XAT Cut Off 2020 section. Procedure: The XAT 2020 Counselling session will consist of Group Discussion and Personal Interview. After this, the merit list will be displayed on the website. Based on the merit list and availability of seats, candidates will be provided admission to various programmes. Documents Required: Shortlisted candidates have to carry all the original documents at the time of counselling. These are cross verified against the forms filled by the candidates. Selection Criteria: The final selection will be done on the basis of XAT 2020 performance, personal interview (and/or group discussions), academic background, relevant work experience & extracurricular activities. Commencement of Online Application: The XAT 2020 application procedure begins on the 20th August 2019. Last Date of Online Application: The XAT 2020 application procedure will end on the 24th November 2019. Availability of XAT 2020 Admit card: The XAT 2020 Admit card will be released on 22nd December 2019. C. Should be in the final year of Bachelor’s degree. Reserved Categories: However, there is 5% relaxation for SC/ST/OBC and Physically Handicapped Classes. Candidates who satisfy the Eligibility Criteria must proceed with Application Process on the Website for XAT 2020. XAT Registration ID of last year can also be used if the candidate who satisfies the eligibility are taking XAT for the second time. Visit the official website and click on new registration. Enter all the required details to generate XAT ID and password to log in. After click on submit a provisional XAT ID and password will be generated by the system and displayed on the screen and also email is sent to candidates. Fill all the details like personal details, academic details permanent address and current address. Candidates should pay the requisite fee via Online mode of payment for XAT 2020. Candidates should print the online confirmation page or receipt for future reference. Application Fee: The application fee is INR 1,600/-. The cost of application per course is INR 300/-. The cost of application with late fee is INR 2,000/-. The cost of application per course with late fee is INR 500/-. Mode of Payment: The application fee can be paid using net banking, debit card or credit card. Even after deadline candidate can apply for XAT 2020 examination with the late fee. Candidate needs to visit the official website to download admit card. Enter login details and other required fields and click on submit. Check the admit card, and make sure that everything printed correctly. The admit card must be printed and carried to the exam hall along with a valid ID. Mode of exam: XAT 2020 will be conducted online. Time duration: The time duration for XAT will be 180 minutes. Marking Scheme: Every correct answer will fetch the candidate 1 mark and there will be negative marking of 1/4 marks for every wrong answer. English Syllabus: Contextual usage, Comprehension, Verbal reasoning etc. General Awareness Syllabus: Current Affairs, General Knowledge, Sports etc. Decision Making/Analytical Reasoning Syllabus: Verbal analysis, Analogy, Thinking ability etc. Quantitative Ability/Data Interpretation: Algebra, Ages, Decimals, Averages, Venn Diagram etc. Result Date: XAT 2020 results will be out on 17th January 2020. Steps to access results: The results will be available on the official website. Candidates must click on the result tab and enter the login details in order to access the results. The scorecard must be downloaded and it should be preserved for the admission process. Following the above-mentioned rounds, the merit list will be displayed on the official website. XAT 2020 score is accepted by more various b-schools for admission. The Xavier Labour Relations Insitute is responsible to release the cut-offs. The XAT Cut-Offs depend on the exam difficulty. The XAT Cut-Off 2020 is the expected one. The students can have an idea of what they have to score to get into their desired college. The cut-off is different for different specialization. The candidates have to clear the sectional cut-off and the overall cut-off as well. This college is located in the Mathikere, Bangalore. This college has excellent teaching staff with a Doctorate degree and highly qualified faculty. Most of the companies recruit students for marketing and sales profile with the comparatively average package. There is no scope for recruitment for operations.Major recruiters of finance companies such as Goldman Sachs, Deloitte, Societe GeneralE,E&Y, KPMG. Banking companies such as HDFC, ICICI, Federal bank. Facilities offered are good.This college is well established in the city of Bangalore and accessible to metro and railways. Graduates with 50% and above and have appeared for entrance exams like CAT, MAT, XAT, GMAT, CMAT, ATMA or any state CET are eligible to apply for ITM. I came college through my MAT score. Eligibility Criteria- Minimum of 50% should be attained in class 10, 12, Graduation degree, for enrolling to the masters degree in PGDM. Candidates have to appear for various enterance examinations, CAT, XAT, MAT,CMAT etc , for fulfilling the admissions criteria.Candidates can apply through any of the above mentioned enterance tests,in which they have scored well. Moreover, candidates also have to appear for an interview, to finally book thier seats for the said course. Basically the eligibility criteria is being a graduate in any of the universities across the country. I took MAT exam.MAT, XAT, CAT are the eligibility scores. Admission procedure is a specific selection process which includes a personal interview in the campus and an aptitude exam. The college's motto is "Creating Frontline Managers" providing ROI same as the fees in the first year of admission. The college admits anyone who has passed their graduation with a score more than 40%. It does require the candiate to write one of the managing entrance exams like CAT, XAT, MAT, NMAT, SNAP. The candiate has the option of choosing any of the approved management scores for admission process or give the VBS entrance exam which is usually condected in the month of March. MAT XAT CAT One must get decent scores in any of the above tests to get an admission here. Yes, it is good to do so. Many companies recruit candidates with working experience. Does XLRI checks academic records ? Does XLRI consider academic records or how much percentage in 10th 12th and graduation is good enough to get an admission? Can I expect tentative dates for XAT 2019? Hi I am Saswat, Can I expect more dates if the link for 2019 is not available in the site? Yes, these are all tentative dates so you can expect other dates as well. When will the Application Form for XAT 2019 release? How many XAT test centers are in India? There are 43 test centers in India . What percentage should I enter in the application form as I am a final year UG student ? The final year UG students can update their aggregate scores till date as their percentage. What is the Official address of the institute? Can you give me a brief about the Xavier’s Labour Relation Institute? The Xavier’s Labour Relation Institute (XLRI) was founded in 1949 by Fr. Quinn Enright, S.J. in Jamshedpur. XLRI has developed its own identity to not walk on the beaten path but to strike new routes; not to benchmark but to be benchmarked, to be second to none but to be the first to respond to the needs of the people and the nation, by taking up the tasks which are bold but necessary which nobody has hitherto taken up. What is the full form of XAT? The full form of XAT is Xavier’s Aptitude Test. An Overview on XAT 2018. Xavier’s Labour Relation Institute or XLRI, Jamshedpur is one of the most reputed business schools in India and worldwide. Entry into the management course at XLRI is through Xavier’s Aptitude Test—commonly known as XAT. Candidates willing to be part of the various courses offered by XAT Associate Institutes and XLRI must take this test. The exam will be held in January 2018, across 47 cities in India as well as two cities abroad. There are more than 100+ schools that come under the purview of XAT.